A paraben free hair mask.....what ? really ? All the hair masks that I've used up till now have been loaded with tons of chemicals and here comes a brand, the body shop offering not only a paraben free but also silicones and colourants free hair mask as well. I think that's amazing. A lot of people stay away from hair masks because generally, they contain many harsh chemicals and though they leave hair feeling super moisturized but the long-term effects of these chemicals can be very damaging. The Body Shop Rainforest Moisture Hair Butter (Rs.1095/- 200ml) comes in a round tub packaging. It plain white in color and is thick, it's very thick. It actually feels like a real thick white butter. The scent of this mask is sweet, I don't like it much but I don't despise it either. I took a little quantity of this mask and worked through my hair strands, detangling them gently post shampooing without applying it on the scalp and then I left it on my hairs for five mins. The results were pretty satisfying. It leaves hair moisturised without weighing them down. It made my hairs very light and soft. Since my hairs are super dry, they also look dull. This hair butter did add a little bit shine but not that much. But its effects are long-lasting. My hairs stayed frizz free for good three days. It's pricey but the quantity is gonna last for long. I think anyone with super dry hairs should give this a try. 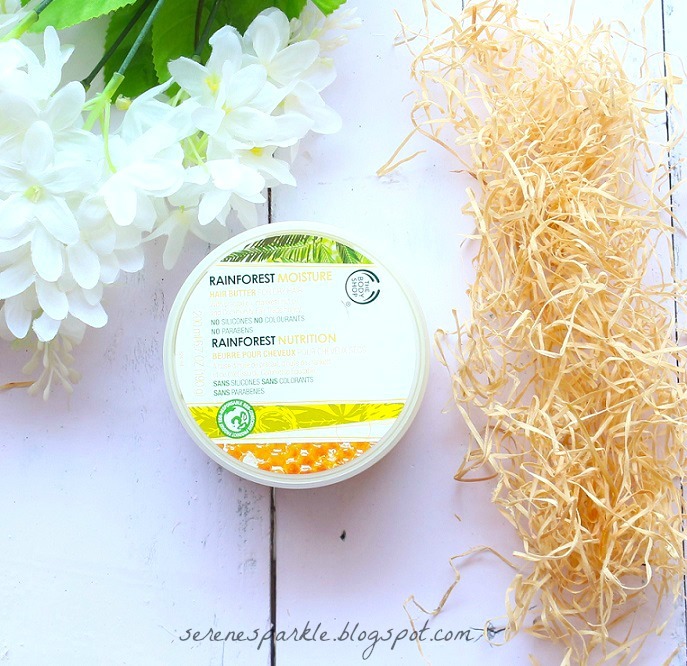 I have also reviewed the shampoo in this rainforest range, check it out here. P.s : I have my blog's second anniversary giveaway going on. You could win these amazing products. Participate if you haven't already ! I have super dry hair because of hair colours.. 😢😢😢 hope it work wonders!! Will buy it and try!! This sounds so good! And I can totally see it lasting for a really long time, so it is worth it! 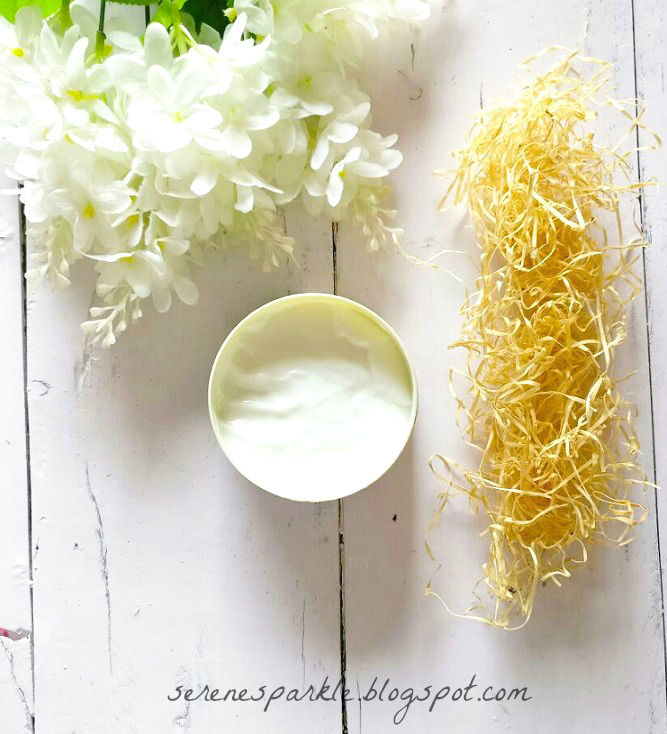 A paraben-free, silicone-free hair mask sounds great... Will give it a try. Nice review , the product seems good but bit expensive ,but since its from a famous brand and results are good , its worth trying . Sound is amazing. nicely reviewed. Would Love to try this.